The 100th day of school is just around the corner. 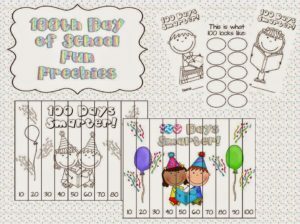 Download this fun 100th Day of School Challenge. Your students will have to use math, creative and critical thinking, and research to complete this fun activity. Use it at a center, as homework, or with the entire class.